Yoga is an ancient science for healthy body, mind and spirit. The term 'Yoga' means union of the individual soul with the universal spirit. Yoga originated in India and is one of the six schools of Hindu philosophy, which aims at revitalization of an individual through various scientific techniques. Indian subcontinent has seen the practice of Yoga since time immemorial. Yoga is practiced with the purpose of liberating the hidden energies of the body through relaxation & control of the mind. As one masters the various 'asanas' of Yoga, a harmony is achieved mentally, physically as well as spiritually. 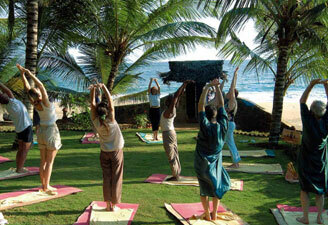 People from all over the world come to India on Yoga tours to reinvigorate themselves. 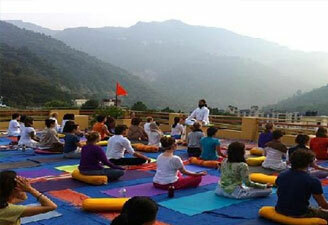 Although practiced all across India, the premier centre of yoga is located in Rishikesh. A number of ashrams here offer courses on meditation, yoga and Hindu philosophy. Early morning Yoga session at the Hotel. After breakfast, proceed for half day sightseeing of the city. Visit Jama Masjid and Qutab Minar, drive past Red Fort, the Secretarial Buildings, Parliament House, President House and the India Gate. Afternoon at leisure. In the evening another Yoga session at the Hotel. Overnight at Hotel in Delhi. Depart Delhi for Rishikesh by surface enroute visit Haridwar. Haridwar is the place where the holy river Ganga spreads over the northern plains. It is among the seven sacred cities of India and one of the four venues for Kumbh Mela. In the evening, visit Har ki Pauri ("Footsteps of the God") to attend the enchanting 'Aarti' ceremony. Thereafter, continue the drive to Rishikesh. Overnight at Hotel in Rishikesh. Morning yoga session at the Hotel. In the afternoon visit the famous Ashrams of Rishikesh. In the evening another Yoga session at the Hotel. Overnight at Hotel in Rishikesh. Morning and evening Yoga session at the Hotel. Rest of the day at leisure - for own activities. Overnight at Hotel in Rishikesh. Depart for Delhi by surface. Arrive Delhi in the evening and transfer to Hotel. Overnight at hotel in Delhi. In the morning transfer to airport and depart Delhi for onward destination. In the morning flight from Delhi to Varanasi. On arrival Varanasi transfer to Hotel. In the afternoon excursion to Sarnath - the place where Lord Buddha gave his first sermon. Yoga session at the Hotel in the evening. Overnight stay at Hotel in Varanasi. Early morning boat ride on River Ganges to see the sun rise and bathing ghats of an ancient Hindu city. Followed by a morning Yoga session at the Hotel. After breakfast proceed for the city tour of Varanasi which includes visit to various temples and the Benares Hindu University with its art gallery. Yoga session at Hotel in the evening. Overnight stay at Hotel in Varanasi. Yoga session at the Hotel in the morning. Later fly from Varanasi to Delhi. Arrive Delhi and transfer to International airport to connect to flight for onward destination. Alternatively you may book an extra night at a Hotel in Delhi.